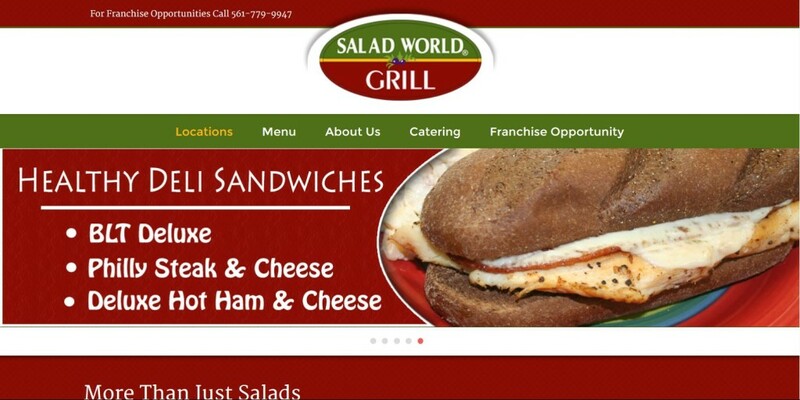 Salad World Grill opened in 2006 with the idea of providing the freshest, highest quality ingredients in the food service industry. Chef Dana Lucoski started Salad World to give customers a healthier alternative to current array of food available on the Market today. With table service and to go options Salad World Grill offers a great atmosphere for sit in lunch and dinners, but also offers a quick to go service. Our food is prepared daily and cooked to order, offering a more personalize touch to the current trend of uniform, pre cooked food found in most restaurant chains. With a variety of salads, wraps, pitas, quesadillas and soups, Salad World Grill offers something for everyone.